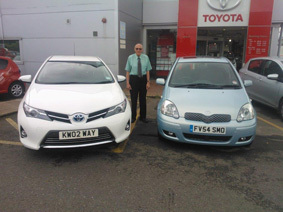 Get an Approved Used Toyota Aygo, Yaris or Auris freshly boxed at 0% APR Representative between 11th – 19th April 2015. Toyota reports on its mission to make ever-better cars by improving production systems. 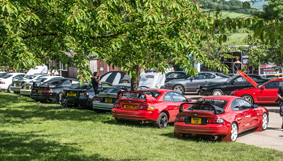 JDM-spec Toyota Supra wows crowds at first official Car Throttle meet. We take a closer look through the cars modifications. Tiggywinkles wildlife hospital rescue a red kite using their specially-adapted Toyota Hilux. Hear the latest Toyota Yaris ‘burglar’ radio advert here, offering a brand new Yaris from only £9,995. Highlights from the 2015 Dakar rally including the Toyota Hilux and Land Cruiser. Save £500 off a new Toyota if ordered this weekend. Listen to the new radio ad here. Our photographer has been on the Toyota stand at the 2014 Paris Motor Show, capturing the latest events as they take place. Internet prankster Rahat has taken to the streets of Europe in the all-new Toyota Aygo. The question is, who’s driving? Toyota supports celebrations for the 20th anniversary of the ST205 Celica GT-Four.